Amtrak has opened up a new can of worms, and it appears the fish are biting. By now, you’ve likely heard of the #AmtrakResidency program the company plans to offer writers. Amtrak literally is rewriting new rules to telecommuting – breaking from the home office and your local coffee shop and placing the workplace squarely on the long-distance rails that zigzag the country. That’s all it took. The conversation landed on Twitter, and Amtrak captured it. In fact, #AmtrakResidency garnered 21,000 mentions in just six days. To put that into perspective, Amtrak typically sees 25,000 to 30,000 mentions within a 90-day period. Also as a result of this campaign, Amtrak’s Twitter following grew 10 percent. In January, Amtrak took the first step by choosing a writer – freelancer Jessica Gross – to test this concept. Gross took the Lake Shore Limited from New York to Chicago and back. By all measures, it was a success. But Amtrak recognizes it must tread lightly in these waters. When choosing a guinea pig, Amtrak didn’t want to cause any ethical conflicts between a journalist and his/her employer. It also made sure not to cross any pay-for-play lines: There’s no required number of tweets or shares about Amtrak and no contract. In fact, any writing that occurs in transit doesn’t even have to mention Amtrak. The company has been working fast to formalize the program: What it will look like, who gets to ride, and how writers are selected. Amtrak also hasn’t officially ruled out a possible cost associated with it. 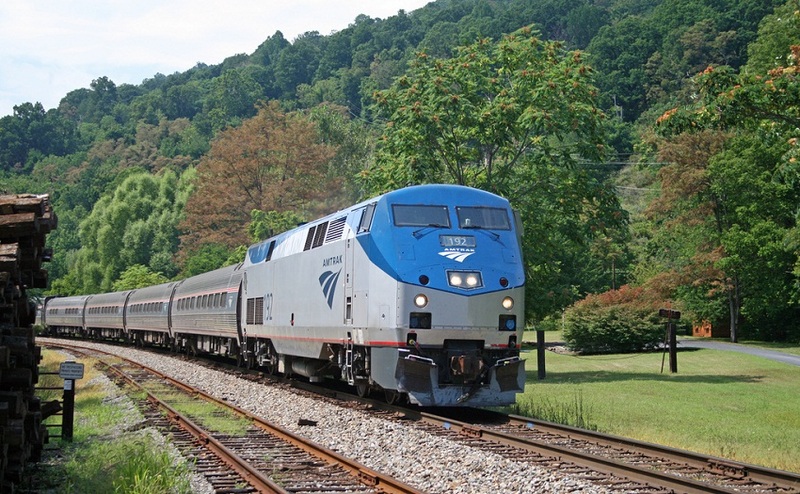 Amtrak’s long distance travel is popular in the summer. So, officials are working with revenue management to ensure they’re not putting residents in high-value spots. But it also doesn’t mean Amtrak plans to plant writers on the train to Chicago in the dead of winter either, Quinn said. Quinn says she’s confident writers will have a positive experience and feel compelled to share it with their audience, creating organic buzz. And honestly, what’s not to love about immersing yourself in writing while traveling long distances, complete with sleeping accommodations, dining and observations cars, and watching the countryside? The next writer to participate will be author Chee, who will be riding a variety of trains from New York to Portland, Ore. in May. Some of the scenery will include Glacier National Park in Montana. The idea of a residency program isn’t new to the hospitality industry. Boutique hotels, for example, sometimes will take on sponsored residents. But Amtrak recognizes it’s uniquely cut out to do something special here. As far as selection, there will be an entry form. Forms then will pass through a panel to possibly include Amtrak executives and folks from the literary and arts communities. Coincidentally, as #AmtrakResidency was carving its conversation into Twitter, Amtrak already was planning its first-ever #AmtrakLive event, hosting more than 30 digital leaders and innovators to live tweet and blog on the Texas Eagle from Los Angeles to Austin, March 5-7. The idea was to select social media influencers to collaborate and share the southwest scenic views from an observation car. Participants will provide updates via Twitter and Instagram. Christine Cube is a media relations manager with PR Newswire and freelance writer. She thinks the #AmtrakResidency program kinda rocks. Follow her @cpcube or give her a shout on PR Newswire’s Google+. How cool is this! I will be applying, me and 21,000 of my closest friends!